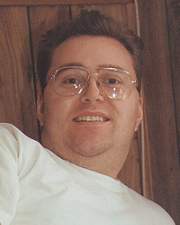 This page includes background information on this site, including information on The Webmaster. Interests & Hobbies Music (mostly classical), hi-end audio, building websites, swimming, Classic Movies (Alfred Hitchcock ones are favorites), travelling, shopping for CD's, reading, walking and of course, Wayne and Shuster! I grew up watching Wayne & Shuster and a few years ago I started searching the internet for a site devoted to their comic legacy. My searches only turned up random pages, usually repeating the same information. After a time, I got in touch with Michael Wayne, Johnny Wayne's son and the rest is history. I hope to put up more extensive information about Johnny and Frank. 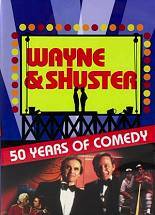 I also hope that this site can eventually fill the void for fans of Wayne and Shuster who are looking for info on this Legendary Canadian Comedy duo!